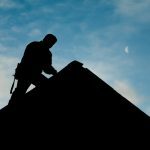 The roofing industry is one rich with organisations and expert schemes which aim to ensure the utmost quality of roofs around the country at all times with constant training, innovation and regulation. 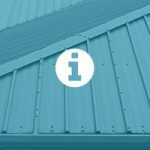 Here, we explain a little more about each of the roofing news websites that can be used to keep up to date with the industry; something which is so important in its ever-changing landscape. This federation, established in 1892, promotes trade members in order to help them gain more work and, through doing so, help them sell more products. Spanning over seven regions, with 1000 trade contractors and 173 supplier members, the federation accounts for over 70% of the roofing industry in terms of value. The biggest circulation roofing magazine on the market, Roofing Today has fully comprehensive, topical and up-to-date information about a variety of movements in the roofing industry as and when they occur. 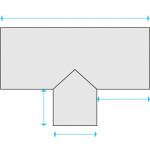 Originally Carolinas Roofing at its establishment back in 2010, the Roofing publication established itself fully in January 2014 and is now a crucial player in providing roofing industry updates. 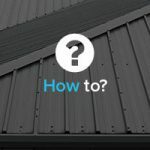 With four years of editorial and design work now under their belts, Roofing Magazine provide high quality information that allows the owners to educate the industry. Operating as a B2B press release distribution service, Industry Today also provides a publication portal in which the most up-to-date news can be shared within 30 relevant industries. This exchanges allows for enormous amounts of information to be passed on; something which allows us to build up this reputation for excellence. 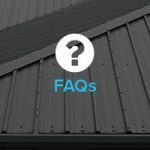 Since its establishment in 1980, Roofing Cladding and Insulation Magazine has provided an outlet and hub for a wealth of roofing news from all areas of the industry. Advertising jobs, providing information as well as offering the latest news, the magazine is at the forefront of the industry as a leader in the provision of relevant information to those who need it. 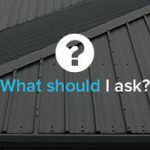 With the strapline “The Roofing Information Service”, Insight are aptly named, providing exactly what they say on the tin. With a comprehensive information exchange for clients, Insight keep up to date with the latest industry news, circulating it around the UK. Indeed the considerable expertise and wealth of information provided by the magazine allow its status as the most widely circulated specialist roofing magazine in the UK. 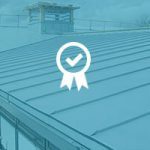 Here at JTC Roofing, we are a leading provider of metal roofing for a variety of premises. Our team of specialists are proud to provide our expertise and high quality roofing solutions at a great price, so for more information on any of our roofs, or for any other enquiry, simply contact us today and we’ll be happy to help.